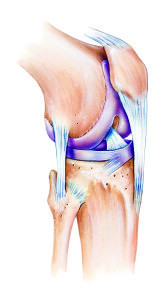 Articular cartilage is the smooth material that covers the ends of the bones where they meet the joints. Healthy, intact joint connective tissue facilitates movement by allowing the bones to slide smoothly over each other. Damage to cartilage often occurs as part of normal wear and tear. However, because this connective tissue does not heal well on its own, patients with joint connective tissue damage may require surgery to stimulate new cartilage growth and maintain joint preservation. Have questions about cartilage restoration? 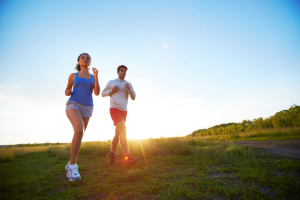 Contact the orthopedic experts at the LA Joint Preservation Center. Call us today to get the answer to your questions or to set up an appointment. You can reach us at 310.736.2793 for orthopedic services and sports medicine. Depending on the severity of the damage, a portion of the bone to bone connective tissue may actually break off and come loose. This can inhibit the movement of the joint and create a feeling of the joint locking. While cartilage damage is most common in the knee, it can also develop in the shoulder, hip, elbow, ankle, and wrist joints. Microfracture chondroplasty – a procedure designed to stimulate new articular cartilage growth by creating small holes in the bone within a bone to bone connective tissue defect. This action creates a healing response, and a fresh blood supply is forced to reach the surface, allowing new connective tissue to form with it. The type of cartilage formed is typically “fibrocartilage”. Osteochondral autograft – a transplantation in which a plug of healthy joint connective tisue and bone is transferred from a non-weight bearing part of an individual’s own joint to the damaged weight bearing area. Osteochondral allograft – similar to an osteochondral autograft but the tissue is derived from an outside donor. Osteochondral allograft is often used for larger defects than those that are typically treated with an osteochondral autograft. Chondral allograft – a transplantation in which joint connective tissue (without bone) is derived from an outside donor. “Juvenile” cartilage transplantation is an example of this. Autologous chondrocyte implantation (ACI) – a two-step procedure in which new tissue cells are cloned and grown in a laboratory from a tiny piece of an individual’s normal joint connective tissue before being re-implanted back into the damaged area to restore hyaline cartilage tissue. Q: How do I know if I need cartilage restoration surgery? A: The best way to determine if you would benefit from joint connective tissue restoration surgery is to be evaluated by a board-certified orthopedic surgeon with expertise in cartilage restoration and joint preservation surgery. Q: What is articular cartilage and how is it different from other types? A: There 2 main types of connective tissue involved with cartilage restoration techniques: hyaline cartilage and fibrocartilage. Hyaline cartilage comprises normal articular cartilage which is found lining the ends of bones where they contact one another in a joint. Hyaline conective tissue can be restored with ACI, osteochondral autograft, osteochondral allograft and chondral allograft. Fibrocartilage comprises the “meniscus” tissue in knee joints. Fibrocartilage can also produced by microfracture chondroplasty to fill in areas of damaged hyaline cartilage. Fibrocartilage is thought to be not as durable as hyaline cartilage in this capacity but can be produced with techniques that are relatively less inexpensive and simpler than those intended to restore hyaline cartilage. Q: What is the rehabilitation time for cartilage restoration surgery? A: Rehabilitation times vary depending on the type of bone to bone connective tissue restoration procedure and the amount of damage that has been sustained to the joint connective tissue of each individual patient. This is also influenced by which other procedures might be performed along with the connective tissue restoration to correct any associated alignment abnormalities or ligament deficiencies. The rehabilitation program is designed specifically for each patient based on their unique set of circumstances. nibib.nih.gov talks more about cartilage restoration treatment. Are you suffering from pain, swelling, and lack of mobility due to bone to bone connective tissue damage? The LA Joint Preservation Center offers a variety of options to ease your pain. Steven W. Meier, MD, is a board-certified orthopedic surgeon and expert in cartilage restoration and the science of joint preservation. Don’t hesitate to contact us today at 310.736.2793 to set up a consultation with Dr. Meier and see what cartilage restoration can do for you. Next, learn more about Hyaluronic Acid Injections.